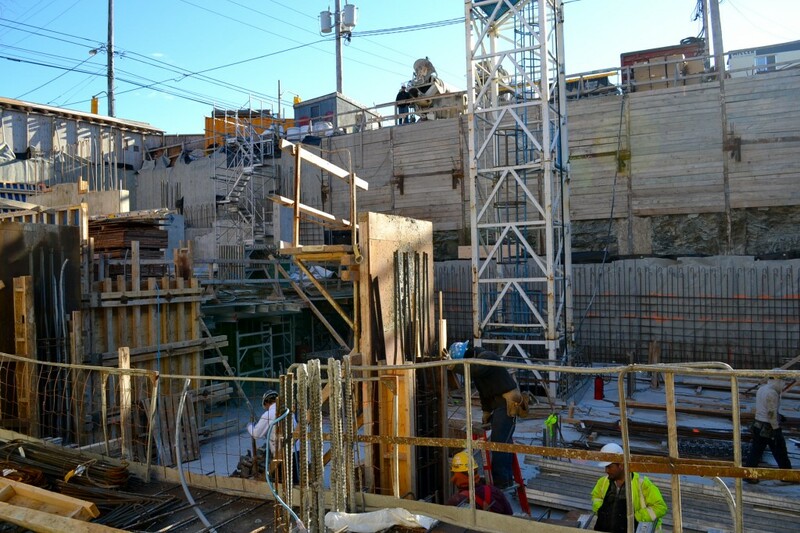 It was a brisk morning when we visited the Eleven Superior job site, but that didn’t affect the quick pace of construction. 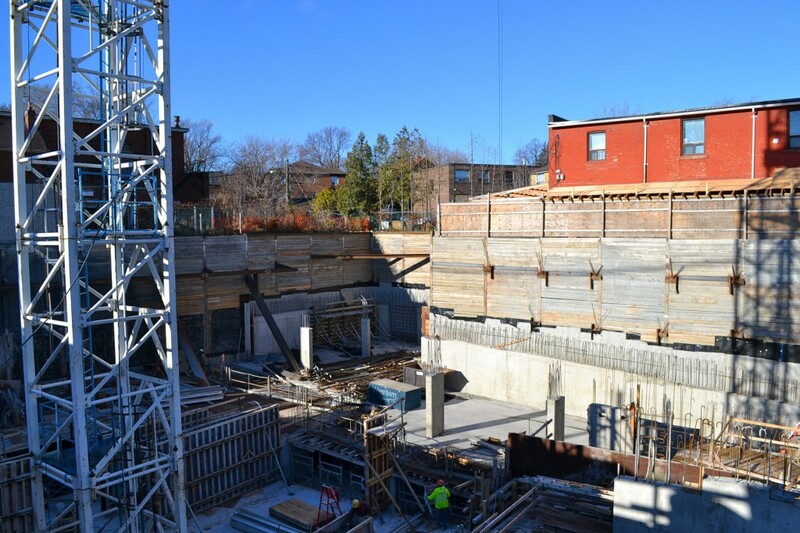 The new community, nestled in Toronto’s vibrant Mimico-by-the-Lake neighbourhood, is starting to take shape with excavation already complete and the multi-level parking garage rising toward ground level. 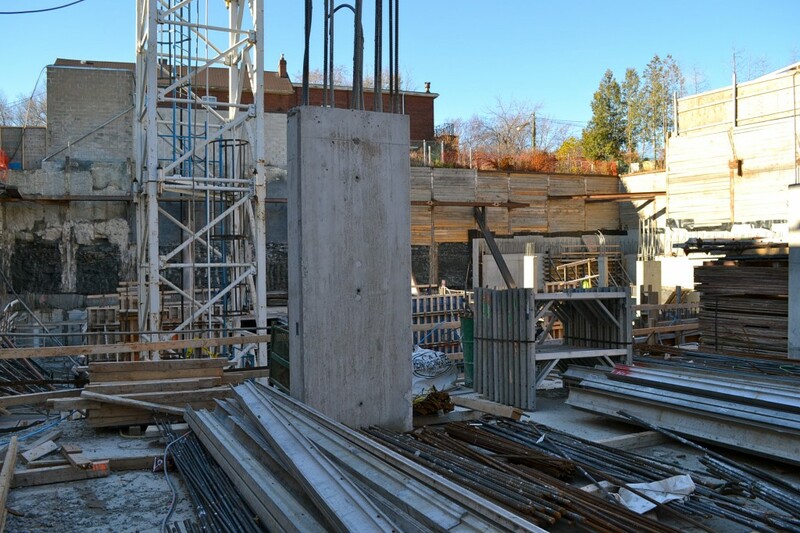 The Davies Smith development, consisting of a modern 9-storey mid-rise condominium and collection of townhomes, is situated at Lake Shore Boulevard West and Superior Avenue. BuzzBuzzHome was on site last week to learn more about the highly-anticipated new community. 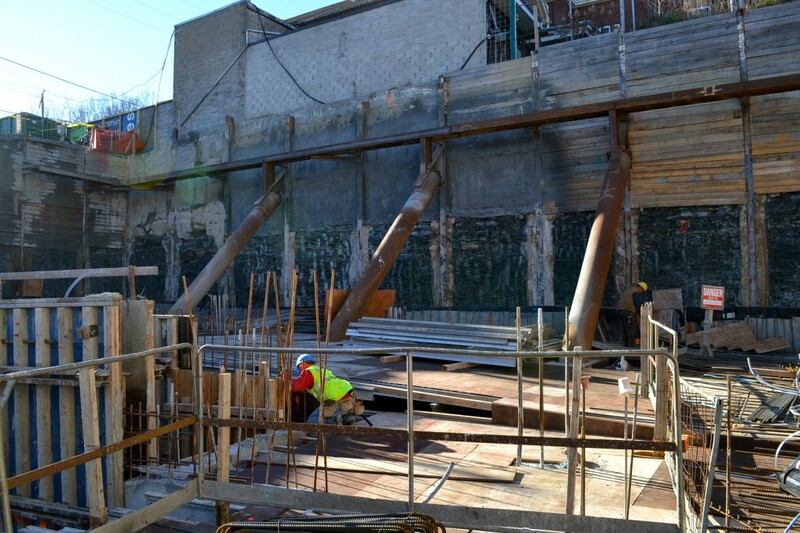 With P4 and P3 already complete, the construction crew is currently pouring concrete to form walls and columns in P2. They hope to reach ground level by Christmas. 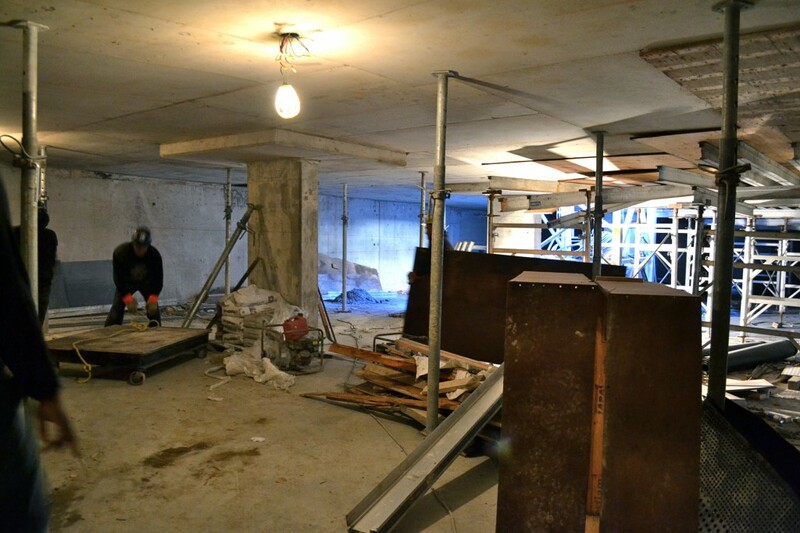 Interested in viewing some construction photos? Check ‘em out below! Eleven Superior is steps from Toronto’s new Mimico Waterfront Park on the shore of Lake Ontario. The west-end neighbourhood is south of the highway, boasting unobscured lakeside views and an abundance of boutique shops and cafes that line Lake Shore Boulevard. 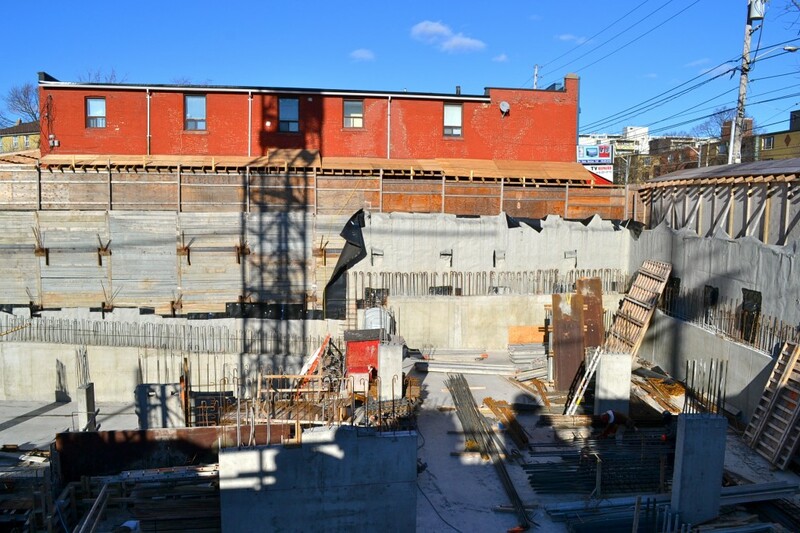 The modern 132-unit structure was designed by the award-winning RAW Design firm, which will feature an elegant curved shape and six-storey masonry frame base that conforms to the surrounding streetscape. 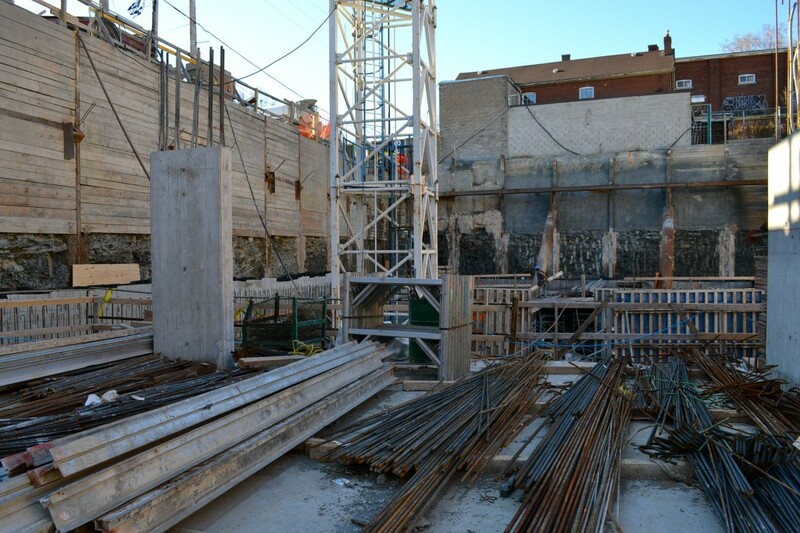 The base of the building will also house 3885 square feet of retail space. Suites range in size from 559 to 1047 square feet and prices start from the mid $200,000s.